The Mayflower Morris Men were formed in 1973, although Morris dancers in Billericay are first mentioned in a church warden’s accounts during the 1550s. The side's name and Puritan colours are a link with the Pilgrim Fathers, five of whom, including Christopher Martin, Governor of The Mayflower, came from the town. As part of Cecil Sharp’s attempts to effect a Morris revival, he gave instruction in the Morris to students at the Chelsea Physical Training College during the first decade of the twentieth century. One of his earliest students was Lady Bellairs. She trained one of the earliest revival sides in the country - Clevedon Morris Men - in 1911. In the early 1950s Peter Boyce became the musician for Clevedon. Peter was a biology teacher at Weston Grammar School where he started a boys’ side and whom he gradually brought across to Clevedon. By 1956 Weston members outnumbered those from Clevedon, so the practice venue was transferred to Weston and the side changed its name to the Mendip Morris Men. In 1961 Peter Boyce moved to Chingford in Essex where he started another boys’ side in his new school. That boys’ side became Chingford Morris Men and two of the ‘boys’, Jim Tidmarsh and Paul Warwick, went on to become Chingford squires. Jim moved to Cranham and Paul to Billericay in 1971. They formed the Mayflower Morris Men of Billericay in May 1973 of which both eventually became squires. There are currently eighteen Men including a traditional pipe and tabor player, the Fool, and the Animal. 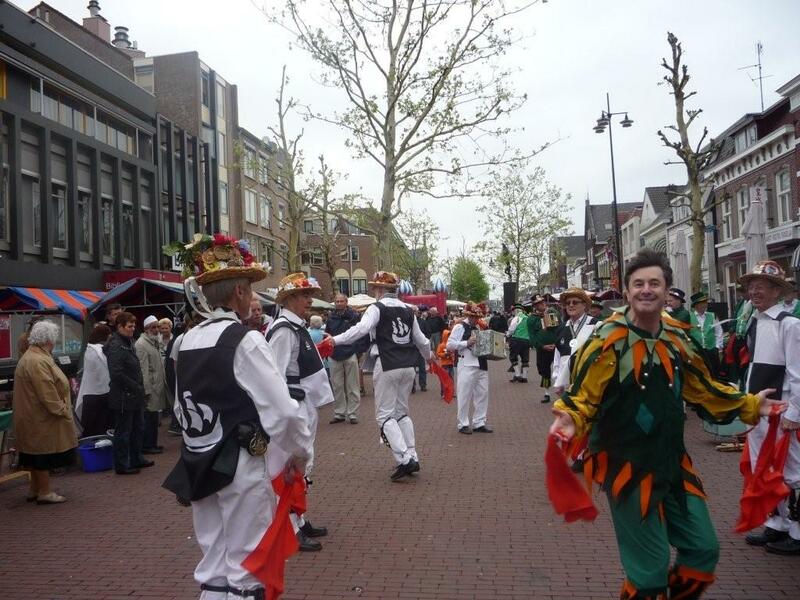 The side can regularly be seen dancing throughout the summer months at pubs and fairs around Billericay but also has performed in venues all over England as well as in Germany and France. March 2007 Learnt the 'lost' tradition of Ravensthorpe, Northants in and became only the 2nd side in the country to perform Shepherds' Hey (Apr) and Beaux of London City (Dec) since 1930s.